Kevin brings over 30 years of professional experience on to the Sweet Keys stage. From musical theatre, to rock and roll, to comedy, Kevin has worked as either a performer or Musical Director in more than 50 regional/national productions in venues such as Ordway, Fitzgerald Theater, O’Shaughnessy Hall, Orchestra Hall, Plymouth Playhouse and the History Theatre. Along with performing, Kevin has been a long-time music educator in the Twin Cities. He taught in the public schools, MacPhail Center for Music, as well as served as Dept. Chair of the Voice Department at McNally Smith College of Music. Kevin also has worked in Liturgical Music since 1999 and currently serves as Director of Music at Church of the Risen Savior in Burnsville, MN. 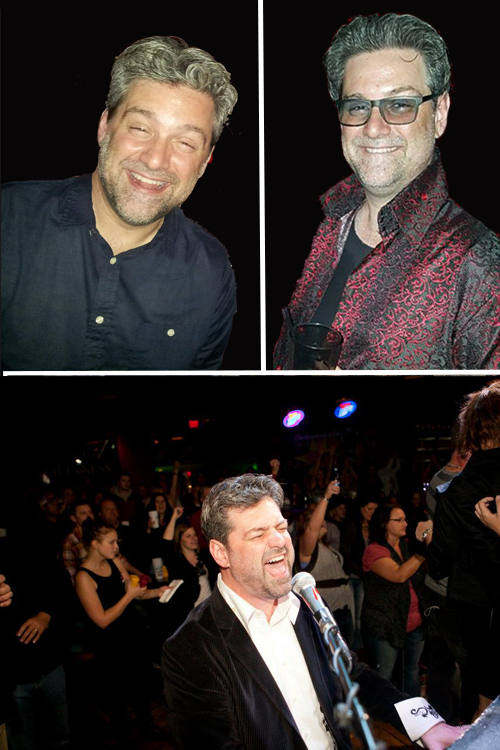 Dueling Pianos is the gig where many of Kevin’s mad skills come together for a great show! Nick has been a professional musician in the Twin Cities area for more than 15 years. With a repertoire that spans all genres and decades, everybody is sure to hear a song that suits their musical tastes. He has a unique style of piano playing that is mesmerizing to anybody lucky enough to sit within eyeshot of his keyboard. His musical career has included dueling pianos, wedding ceremonies, big band and ensemble jazz groups, and professional accompaniment. Nick daylights as a Mechanical Engineer for a local product development company. During his rare free time, he enjoys adventures with his wife and two kids, fishing, and golfing.